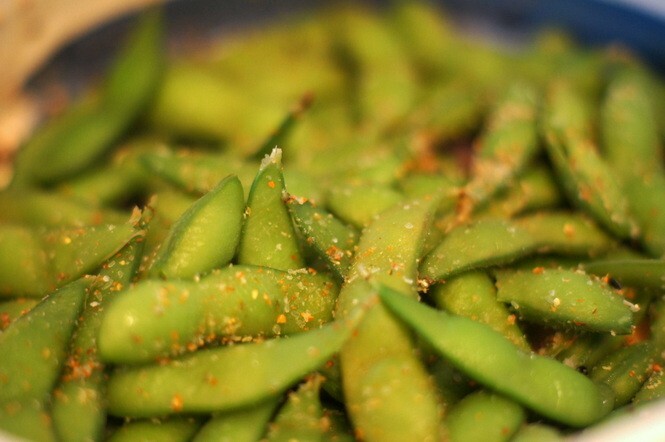 Our family loves edamame as a side dish. But, it can get boring. It's almost inevitably served with nothing more than sea salt - not that there's anything wrong with that. So, I decided to "kick-up" my edamame with the use of some additional spices, including togarashi. 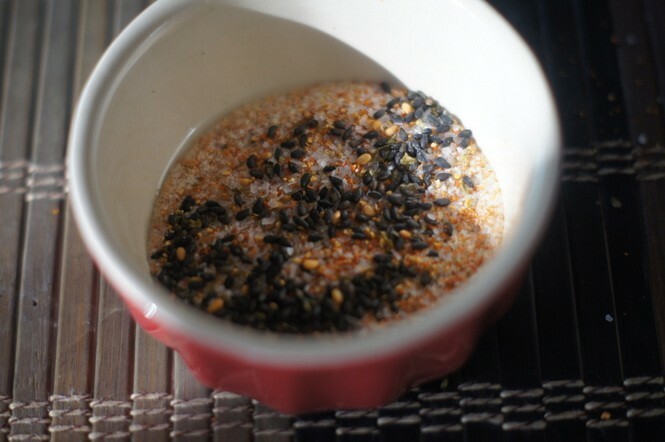 This is a very simple side dish or snack that you and yours are bound to love. 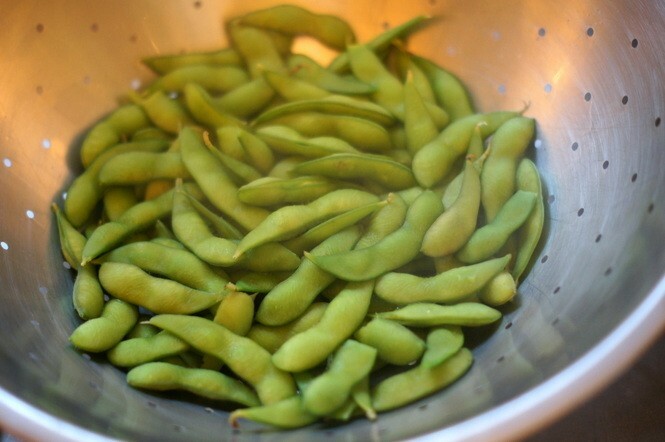 While the water is boiling, mix together all of the ingredients except the edamame in a small bowl. 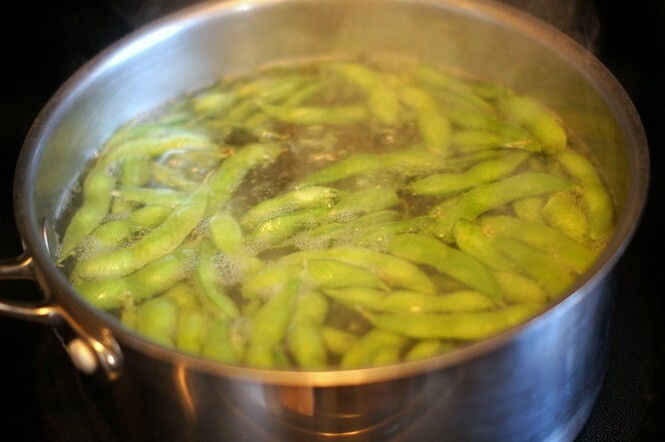 Add the frozen edamame to the boiling water and cook for 3-4 minutes after the water comes back to the boil. 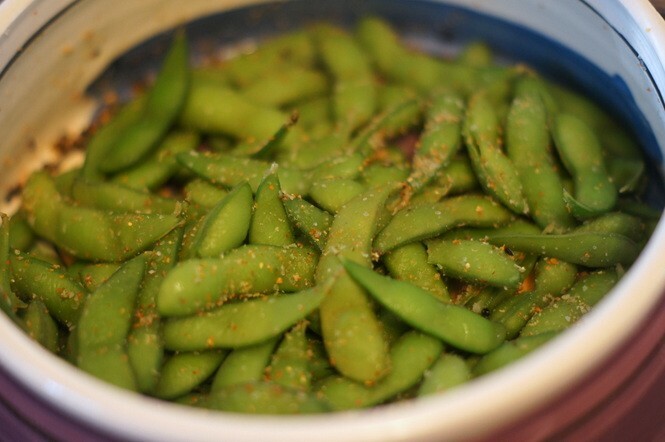 Toss the cooked edamame with the spice mixture in a large serving bowl. Serve warm, at room temperature, or even cold. 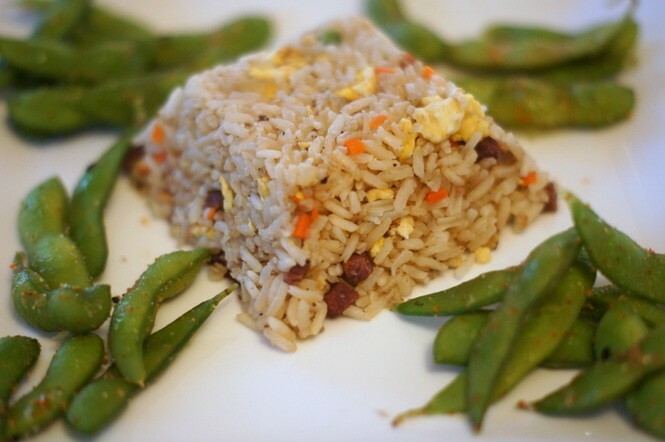 The edamame is pictured here with fried rice.